Hi y'all! 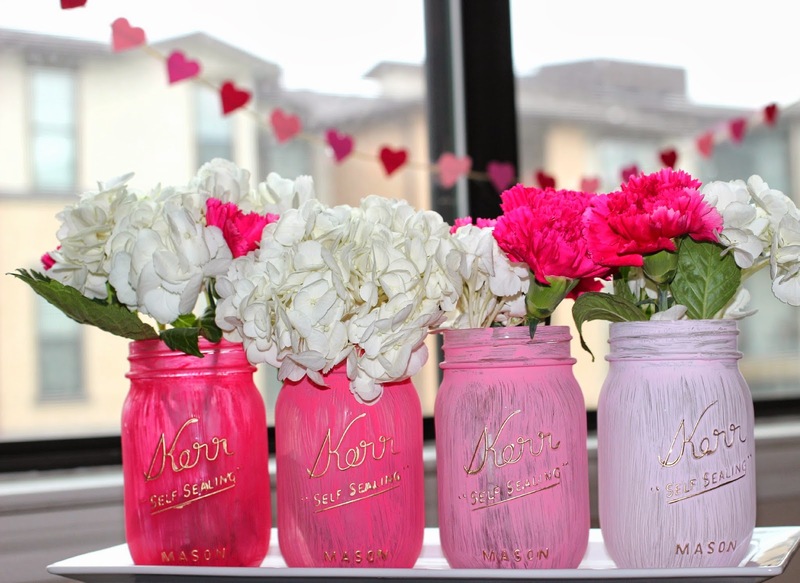 I decided to share my "love" this valentine's day with some simple mason jars, paint and gorgeous pink and white flowers! 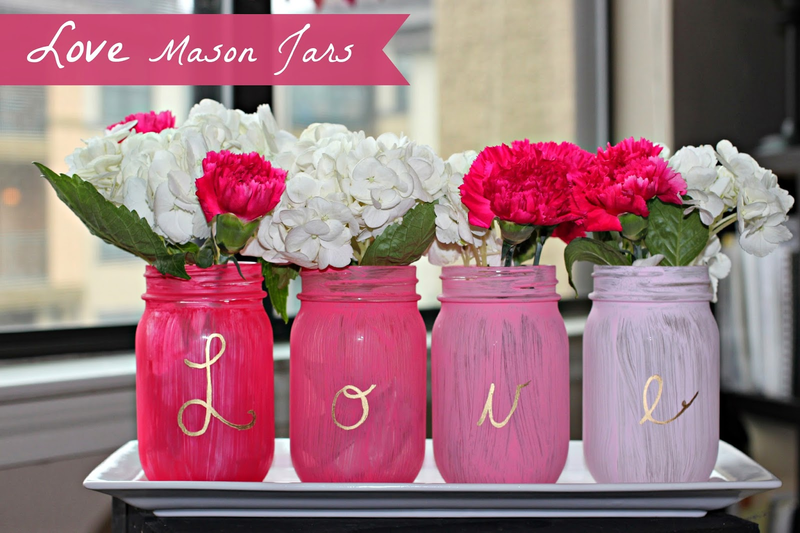 L O V and E are painted onto easy mason jar in a pretty gold. 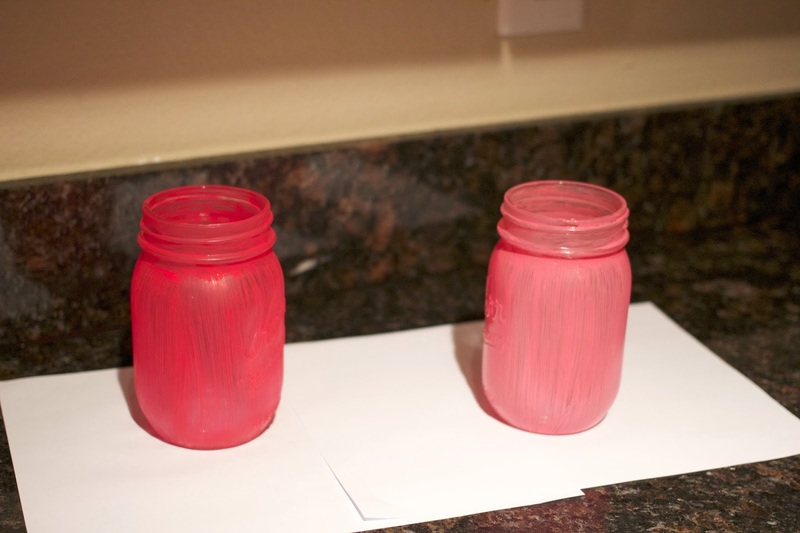 You can use these to adorn your mantel, windowsill or as a centerpiece to your romantic dinner. 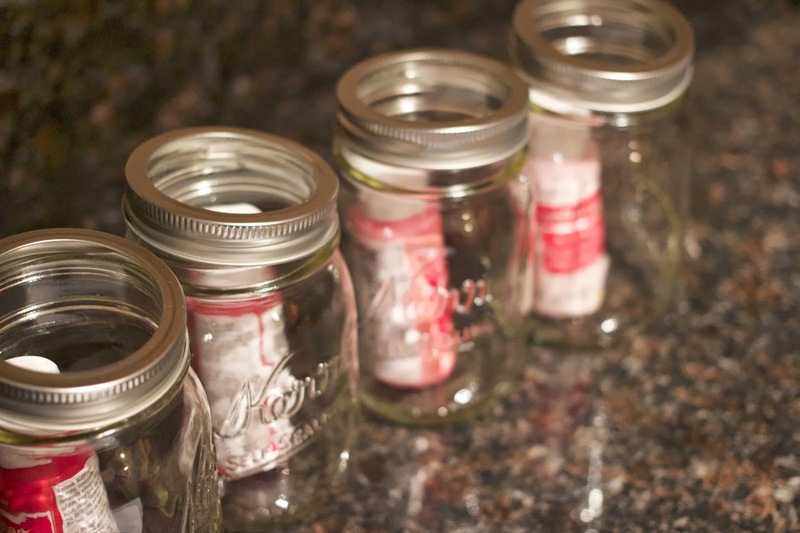 And if you're not spending Valentine's day with a significant other you can easily turn this into a fun project to help you look towards spring. 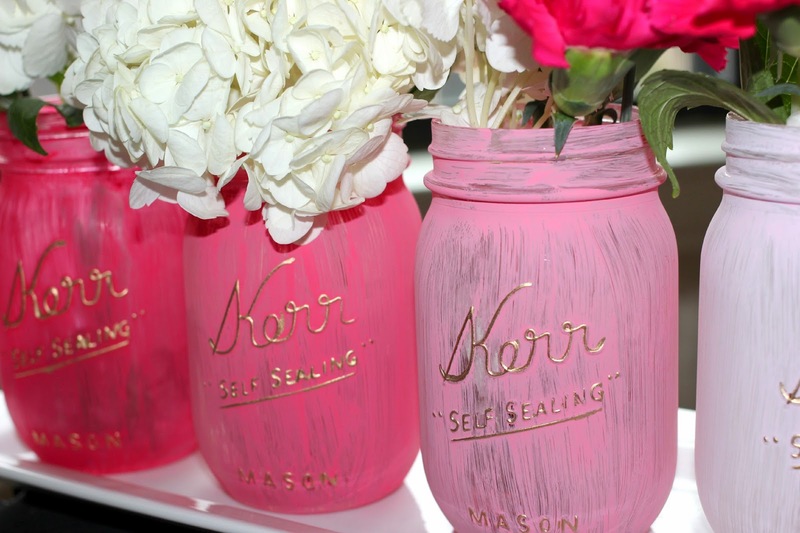 I did this as well by painting the "Kerr" on each of my jars. Hoping you all have a amazing Valentine's Day, no matter who you spend it with!